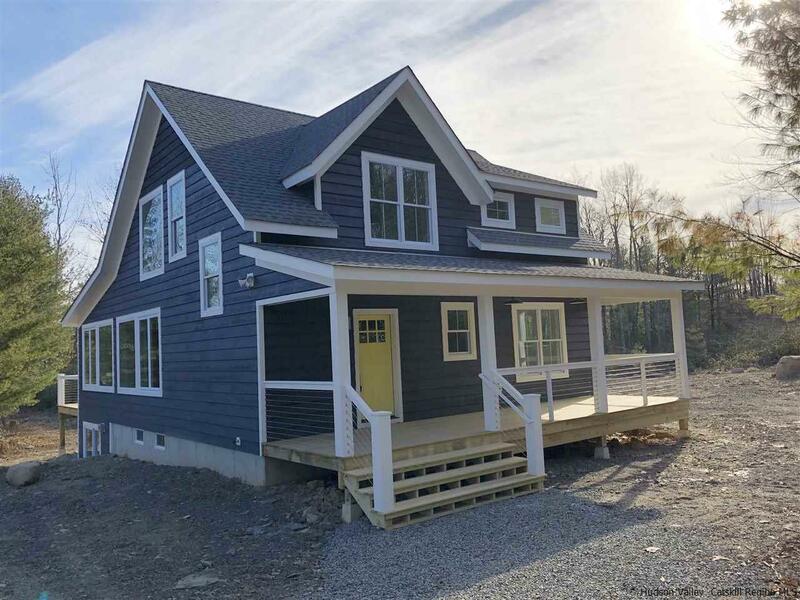 Catskill Farms presents Farmhouse 52, just finished after 7 months of construction. It is located on 13 acres in Kerhonkson NY, just around the corner from Stone Ridge, Accord, and Olivebridge. The last house available in a 14 home project. This Farmhouse has big views of High Point and is located at the end of a dead end street. This Farm also combines our favorite design details from our farmhouses and barns, with high ceilings, open staircases, and family-friendly flow - combining traditional with modern. With 1900 sq ft, 3 bedrooms, 3 bathrooms, screened porch, wood-burning fireplace, big kitchen that spills out into a dining area that can support a table for 14, screened porch, covered front porch, and a dry huge unfinished basement to top it off. Don't forget the high speed internet. Days on market includes construction time. Construction finished December, 2018.